Want to share articles between your iPhone and Mac? One of the best things about the Apple ecosystem is how well various products complement each other. Much of this is made possible by iCloud, the company’s cloud solution that stores and syncs data. Reading List is an old feature that allows you to share web pages between devices using Safari for mobile and Mac. It’s completely free to use, and though it’s not quite as powerful as many dedicated reading services, it’s a great free way to access content offline. Here’s a reminder how and why to use Reading List. The feature is a part of Apple’s Safari browser, so in order to make use of it, you’ll need to use Safari on your Mac, iPhone, iPad, or even iPod Touch. There are plenty of reasons you should be using Safari already on either platform, and it’s not just because of Chrome’s poor performance for Mac users Safari vs. Chrome for Mac: 10 Reasons You Shouldn’t Use Chrome Safari vs. Chrome for Mac: 10 Reasons You Shouldn’t Use Chrome Chrome is, for many people, the first thing installed on a new Macbook. It makes sense: in its early days Chrome gained a reputation for being lightweight and fast. Read More . Safari is Apple’s native browser, and it’s well-optimized for your Mac and iPhone’s hardware. 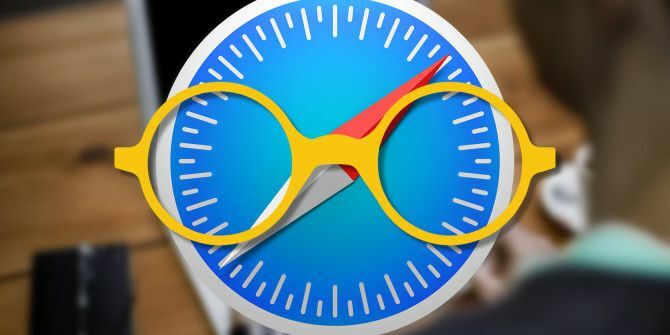 All iOS browsers use Safari in some form, even though some introduce features like Opera’s compression technology What's the Best Browser for iPhone? 7 Apps Compared What's the Best Browser for iPhone? 7 Apps Compared Safari is a fine browser for iPhones, but it's not the only option. Check out the best iOS browsers for something better. Read More . The browser integrates seamlessly with Apple-exclusive features like iCloud Keychain, and will even support Apple Pay via your smartphone in the Mac’s upcoming Sierra update What's New in macOS Sierra? The New Features Coming to Your Mac What's New in macOS Sierra? The New Features Coming to Your Mac OS X is dead, long live macOS. Read More . The case is especially compelling if you use an iOS device like an iPhone or iPad, and a Mac computer. 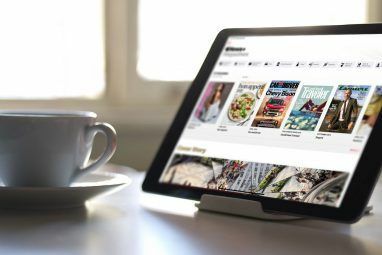 You can quickly access web pages you have open on other devices using iCloud Tabs, and of course, you can sync articles for offline reading using Reading List. Reading List is the method of storing web pages offline, populated with temporary bookmarks. When you send a web page to the Reading List, it caches the page offline for viewing elsewhere, and downloads it to your mobile devices in the background. As it’s a free service, it’s still barebones: it’s not a content-focused Instapaper or Pocket equivalent that formats everything for you. It’s also not designed to be a permanent bookmark list. Items on your reading list should be discarded once you’ve read them, or turned into permanent bookmarks and organized accordingly (these will also sync via iCloud with your various devices). 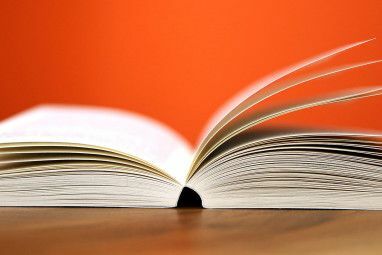 For this reason, you can’t categorize your reading list or create folders — it’s literally just a list of saved articles which you’ll need to tidy up to make the most of. On a Mac: Head to System Preferences > iCloud and make sure Safari is checked. On an iOS device: Head to Settings > iCloud and make sure Safari is checked. Syncing works both ways, so whatever you add to your Reading List on a Mac will be accessible on your iPhone, and vice versa. The service also works with iPad and iPod Touch, but you’ll need to connect to a Wi-Fi network periodically so that iOS can download new data. On a Mac: In Safari and other apps, click the Share menu and choose Add to Reading List. You can also right click on a link and choose Add Link to Reading List, or hover over the address bar and click the plus “+” icon. On an iOS device: Within Safari and other apps, hit the Share button and choose Add to Reading List. You can also long-press a link and choose Add to Reading List from a browser. Note that you can add content to your Reading List from apps other than Safari. This is especially useful if you’re using a news reader app that doesn’t support offline content, but you’d like to make it available offline for later. The page is saved in its entirety, complete with text, images, and associated formatting. Video and dynamic content like advertising banners are not saved, so you can’t add a YouTube video to your Reading List and expect to be able to watch it later. Content is saved locally on your device, so you don’t need an active connection to access it. You can regain this space on your iOS device iPhone Storage Full? How to Create Free Space on iOS iPhone Storage Full? How to Create Free Space on iOS The best way to maximize your available iPhone storage space is to buy the biggest device you can afford. Too late for that? Here's how to create free space on your iOS device. Read More by heading to Settings > General > Storage & iCloud Usage > Manage Storage > Safari then swiping left on Reading List and hitting Delete. This won’t delete the items on your reading list, but it will remove offline content from your device. There doesn’t appear to be any way to do this on a Mac, beyond deleting all website data and history under Safari’s Preferences. The Reading List is accessed via the familiar “reading glasses” icon, on both iOS devices and Mac computers. On a Mac: Bring up Safari’s sidebar, then click the “reading glasses” icon. You can also use the control+command+2 keyboard shortcut to jump right there. On an iOS device: Launch Safari and tap the Bookmarks button at the bottom of the screen (it looks like an open book). From here tap the “reading glasses” icon to display Reading List. Unlike Instapaper or Pocket, Reading List won’t format things automatically. 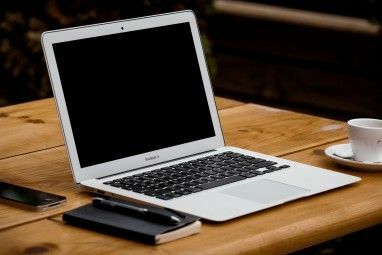 You can however use Safari’s Reader mode 9 Things You Probably Didn’t Know You Could Do in Safari 9 Things You Probably Didn’t Know You Could Do in Safari Safari is a good browser — uncluttered, pleasing, and smart. Yes, it might be missing a few features, but it has several other useful ones that'll make browsing easier for you. Read More on a Mac or iOS device using the “four lines” icon that appears in the address bar (pictured below). This makes things more readable, allows you to enlarge the text, or apply themes like dark mode. Content added to Reading List should update in the background, but sometimes things don’t quite work as expected iCloud Sync Problems? Resolving Common Cloud Storage Issues iCloud Sync Problems? Resolving Common Cloud Storage Issues Having problems getting iCloud to sync your data between two instances of the same app? You're not alone... Read More . Content can be slow to sync at times, there’s no way to force a manual refresh, and I’ve had a few issues where pages added to my Reading List couldn’t be accessed offline for some reason. Thankfully these issues have been few and far between in my experience. Items you add to Reading List will remain there until you remove them, but that doesn’t mean it’s an ideal place to store bookmarks permanently. You should periodically clean it up by deleting items, which you can do by swiping left (or right clicking) and choosing Remove Item. Instapaper (free, in-app purchases/subscription) — a powerful offline reader Become an Instapaper Power User With These 6 Cool Features Become an Instapaper Power User With These 6 Cool Features Despite an impressive adoption rate, a plethora of Instapaper features often remain unexplored. Let’s take a look at a few of them. Read More that formats content by stripping away unnecessary clutter. Uses actions to receive content Do More With The Web & Safari Actions For iOS 8 Do More With The Web & Safari Actions For iOS 8 It's a new era for iOS with Safari extensions — let's take a look at how you can best use them! Read More and background refresh to download content without opening the app. Pocket (free, in-app purchases) — a great alternative to Instapaper 9 Ways to Get More Out of Pocket 9 Ways to Get More Out of Pocket Pocket is the ultimate digital bookmarking service out there. Let's find out how to boost your Pocket experience with the right web apps and extensions. Read More , with a focus on readability, offline access, and background syncing. Readability [No Longer Available] — just like Instapaper and Pocket, but it has fallen behind in terms of features over the last few years. Works offline and reformats pages to make them easier to view. Flipboard (free) — a “social magazine” that focuses on social networks and curated news. It’s less hands-on but it features a limited “fetch for offline” feature that can be activated via the app settings. Do you use Reading List, or do you prefer a dedicated app? Let us know how you consume content on your Mac and iOS devices in the comments below. Explore more about: Instapaper, Offline Browsing, Reading, Safari Browser. The functionality explained in this article does not work on my MacBook safari (10.1.1). Adding a website to the reading list seems to be like adding a book mark. At least that is how it behaves. I have not tried taking my MacBook offline to see what happens. But when I try to access that item in the Reading List on my iPhone, I do not get all the content of the web page. I have to actually access the webpage on the iPhone to see the content. I agree with the previous comment... it does seem that much of the apple stuff is just half-baked. I've been using Pocket for several years now. I'm growing increasingly frustrated with their ads and recommended articles though. So I'm now in the process of switching to Safari Reading List. i save 8 articles in safari reading list as you mentioned but only 1 is available for offline reading, the rest says 'not available offline'. It will not work on my mac lap top…nor will my mail receive any mail either. This is very upsetting…..expensive computer and only half of it works…all of a sudden…it use to work fine 4 weeks ago.